This image was captured during a walk in the Hopewell end of the Sourland Mountain preserve. I used my AF–S Nikkor 35mm f/1.8 lens attached to my Kenko extension tubes and Nikon SB-600 flash. 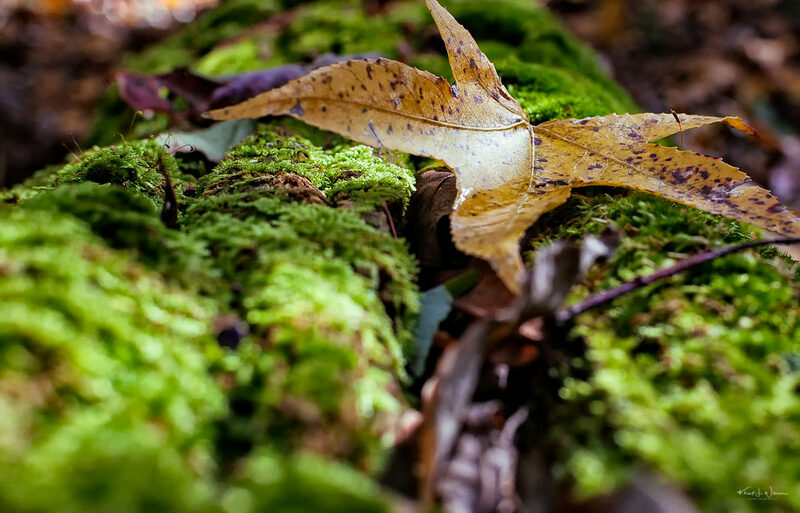 This set of images was taken during a spring nature hike hosted by the Sourland Conservancy. I captured these on a Kenko auto-extension tube attached to my AF-S Nikkor 35mm f/1.8 DX. Most of the images are shot at f/8 and I used my Nikon SB-600 speedlight flash to add some extra lighting. 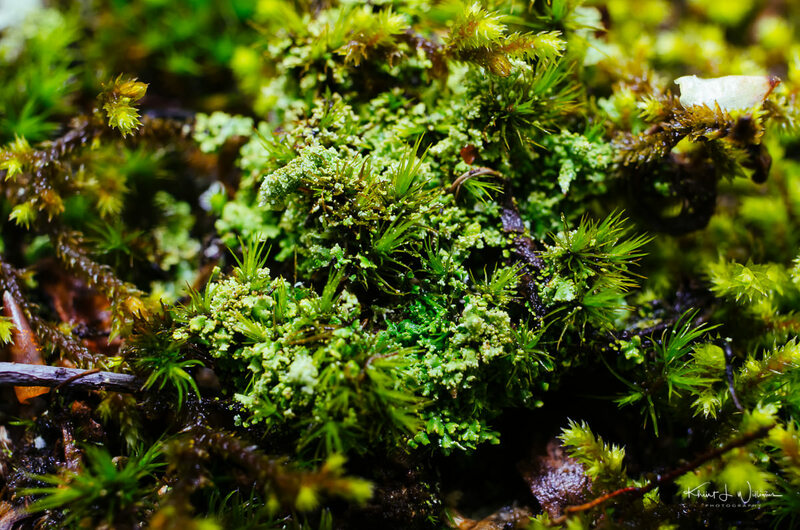 According to Wikipedia mosses and lichens are quite different. 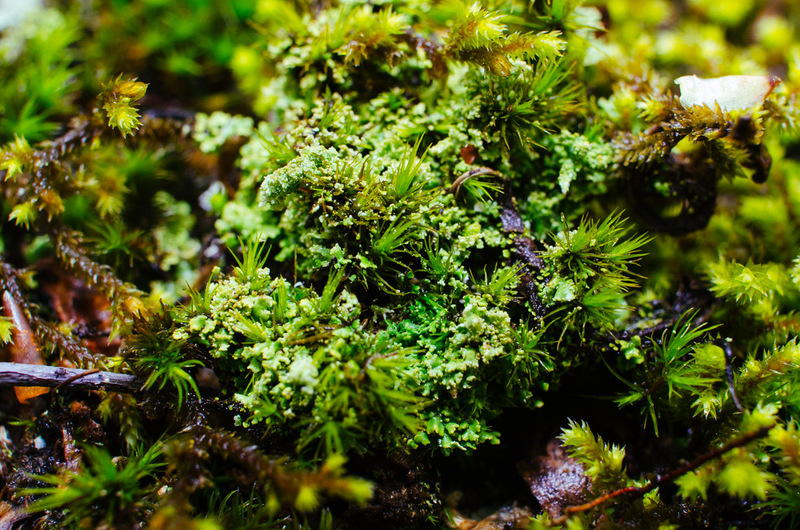 A patch of moss with some lichen. 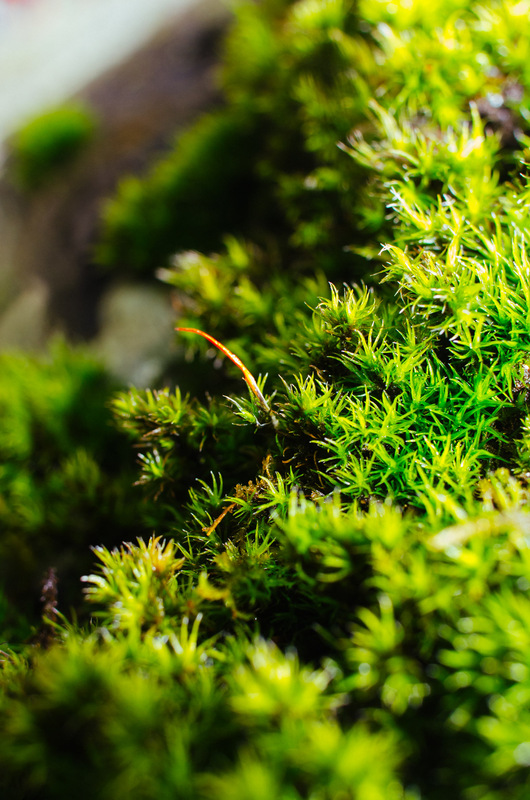 Unlike most plants, mosses do not have seeds, are non-vascular, and absorb water and nutrients mainly through their leaves, harvesting carbon dioxide and sunlight to create food by photosynthesis (like plants).